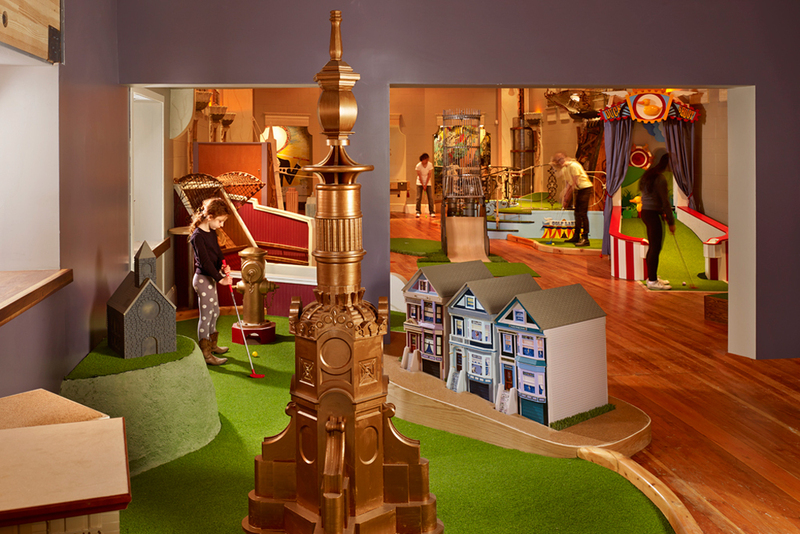 February 2018: We’ve expanded our list of the best things to do in San Francisco with kids to highlight two family-friendly favorites: The classic Musée Mecanique (#5) and the Randall Museum (#12), which is better than ever after a $9 million renovation that took place in 2018. Grab your kids (or borrow someone else’s), because these spots are good enough to delight even the childless. San Francisco may have more dogs than children but that doesn’t mean it’s a city void of kid-friendly activities. 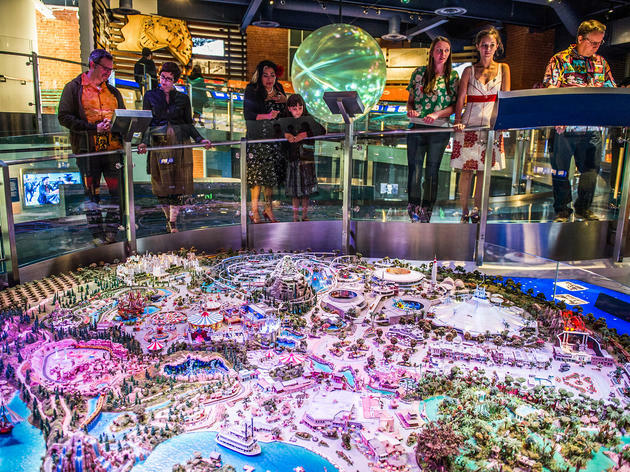 From mind-bending museums and engaging learning experiences to high-energy playspaces perfect for blowing off steam, there’s so much for families to enjoy. 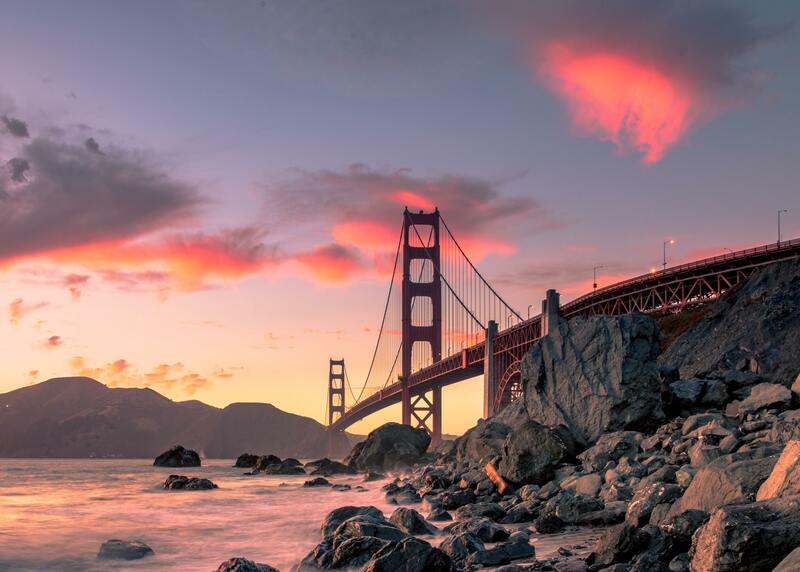 Grab your tots and have a blast with our 14 favorite things to do in San Francisco with kids. 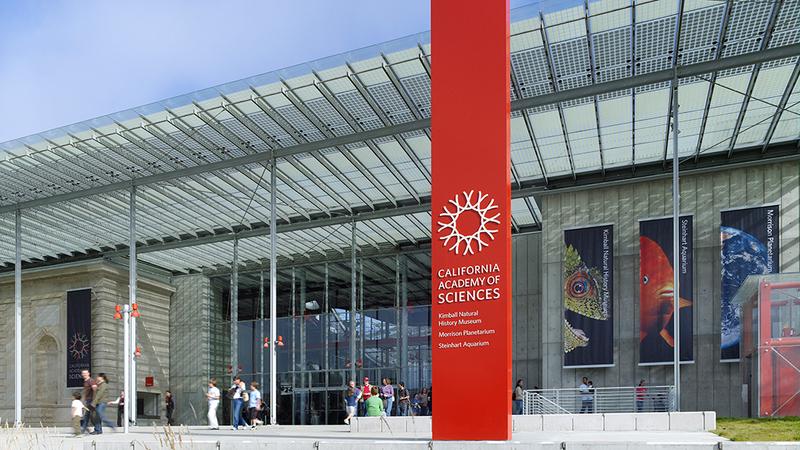 This eye-popping art and science museum mesmerizes kids and adults alike. 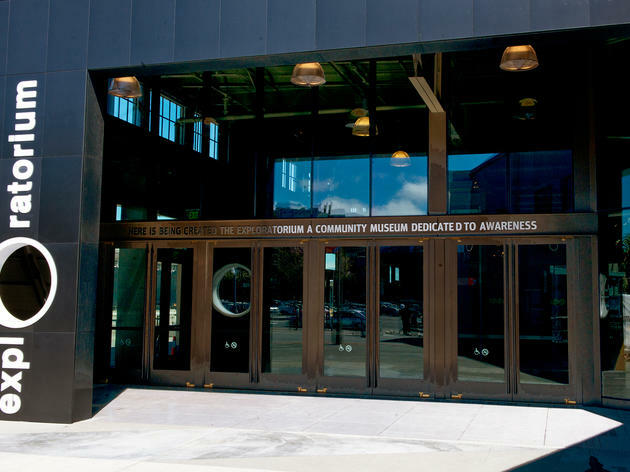 The museum touts over 500 exhibits, including hands-on activities, science experiments, and interactive galleries incorporating sight, touch, memory, and perception. 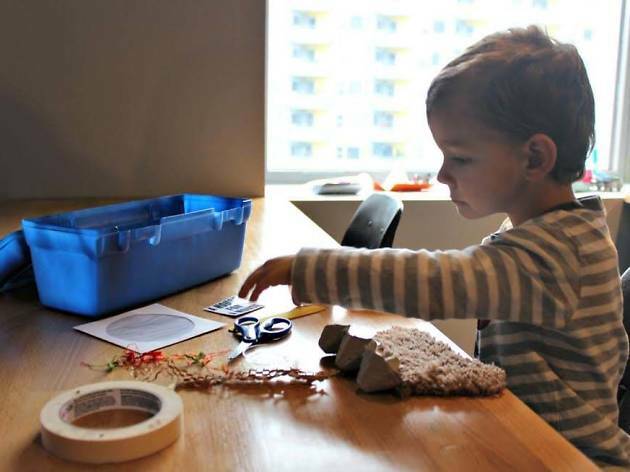 Even toddlers will get a kick out of exhibits involving light, bubbles, and sound. Whether you’re ogling rare plants, baffling physics displays, or awe-inspiring art (a sculpture made from 100,000 toothpicks?! ), it's easy to spend a full day here. 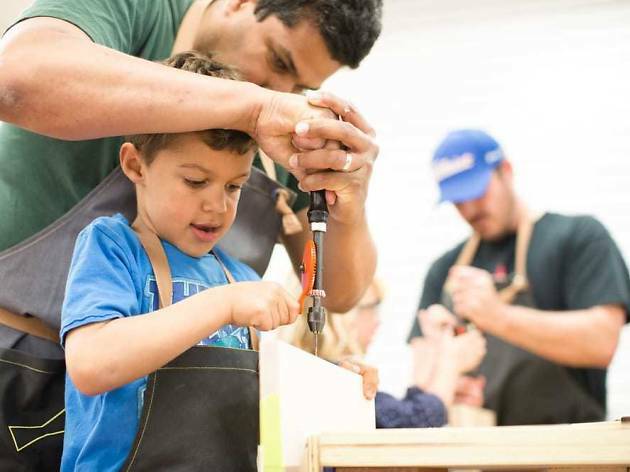 A woodworking shop for children sounds like an unlikely concept, but they’re in good hands with Butterfly Joint owner Danny Montoya, a credentialed early-childhood educator who knows his way around a workbench. 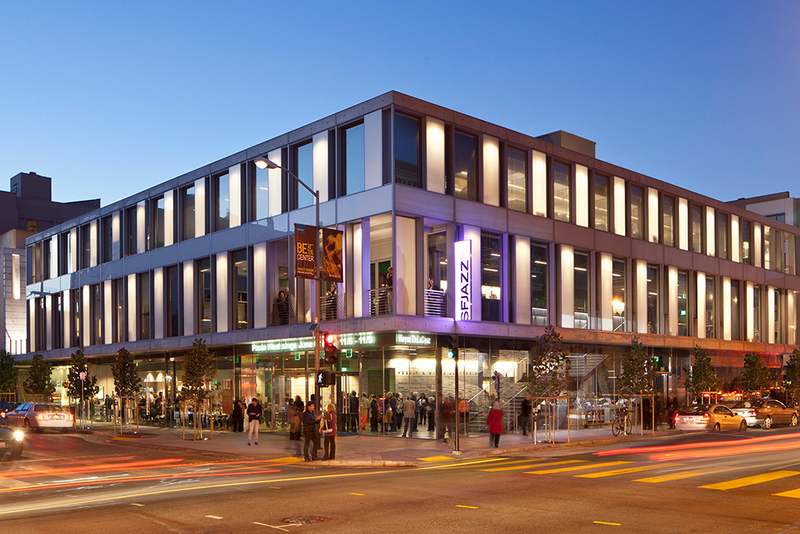 The Outer Richmond workshop offers classes and camps for kids as young as 2. Tykes clock in with punch cards, don mini work aprons, and get to work on projects like name boards, keepsake boxes, tables, stools, wooden spoons, and more. Rest assured, there are no power tools involved. 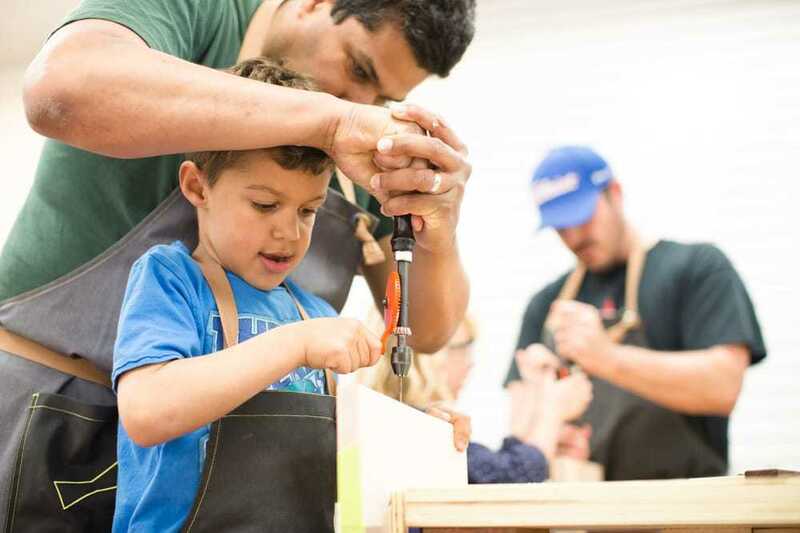 Advanced students (ages 10 and up) learn how to use chisels, hammers, and dovetail saws. This is one afternoon excursion guaranteed to tire your kid out. 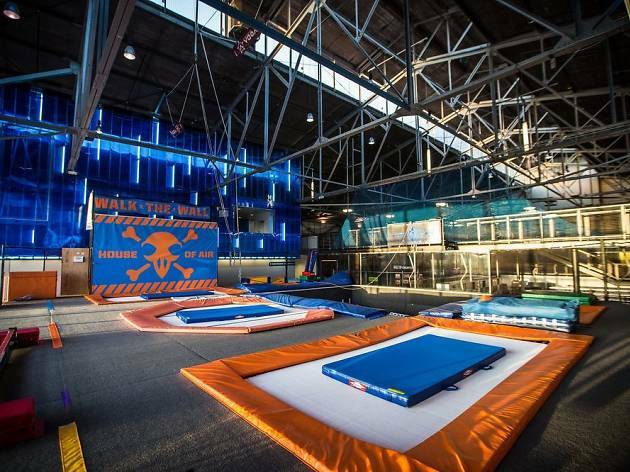 House of Air is technically a trampoline gym, but it, if you ask them, they're an “adrenaline park.” The sprawling, high-ceilinged space includes a trampoline court, where dozens of connected trampolines are surrounded by cushy angled walls, and a trampoline dodgeball court with friendly pick-up games (and a built-in ref) - not to mention a rock climbing wall and foam pits. 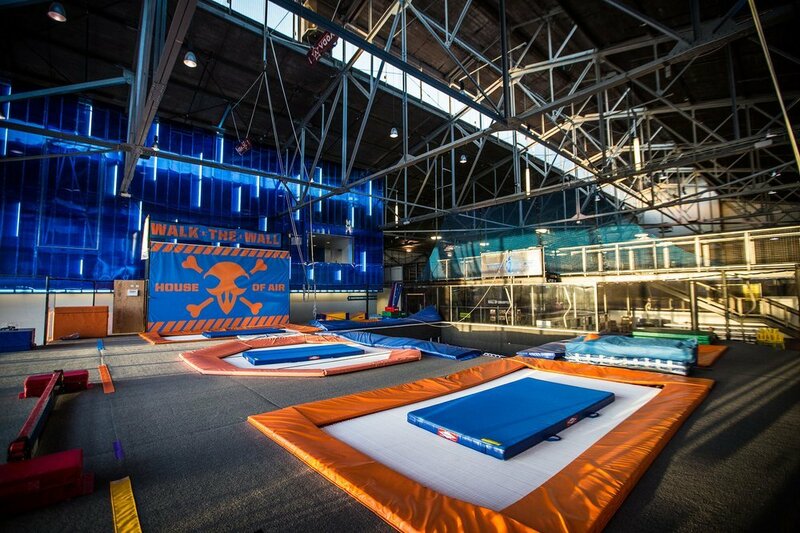 Kids aged 3 to 6 have access to a mini trampoline area specifically reserved for little jumpers. The Coop calls itself a playspace, but that’s underselling it: It’s more like a carnival-meets-playground-meets-toy store. 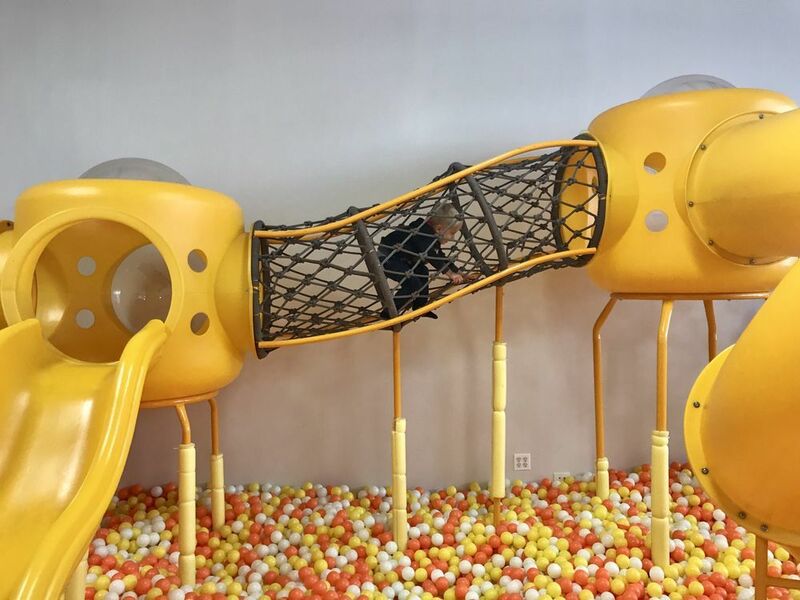 The 3,000-square-foot area includes a huge ball pit, an electronic dance floor, a bouncy house, a rope-climbing tube, a twisty slide, and a slew of dress-up garb, books, and toys. It’s a popular spot for open play, as well as for kid birthday parties, in which parents can choose from dozens of themes. The best part, though, is the welcome amenities for grown-ups. While your kiddos bounce, climb, and dance their hearts out, parents can kick back with an impressive magazine selection, a full cappuccino bar, and free wifi. 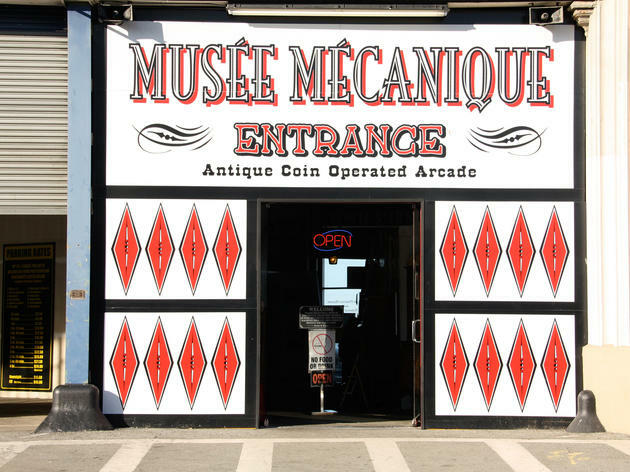 Local legend Edward Galland Zelinsky founded this museum as a showcase for his unparalleled collection of antique oddities, namely coin-operated mechanical musical instruments and antique arcade machines. This place is a blast for kids of all ages, and a lesson in San Francisco amusement park history. 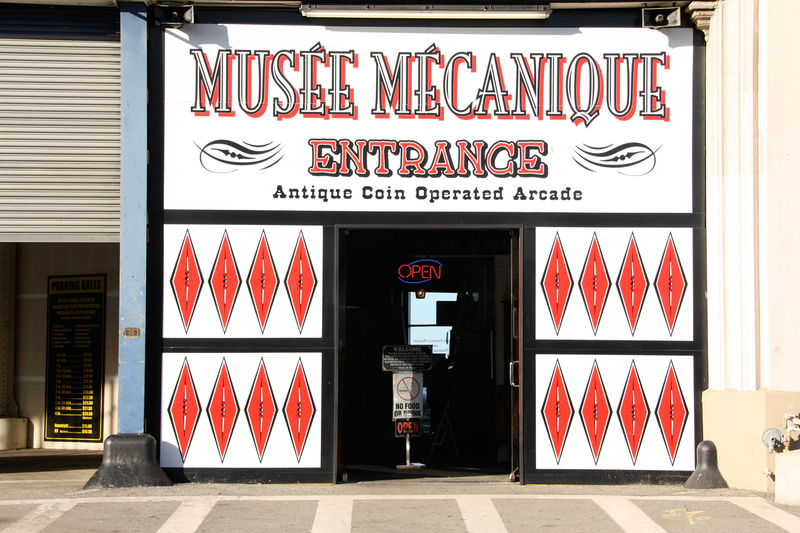 The assortment spans more than 300 items, including coin-operated pianos, antique slot machines, hand-cranked music boxes, salvaged bits of local history, a steam-powered motorcycle, and various vintage arcade games. The arcades are all in working condition and most cost only $.25 or $.50 to play. For kids who need to blow-off steam modern-style, there are a handful of video games and skee ball in the back. 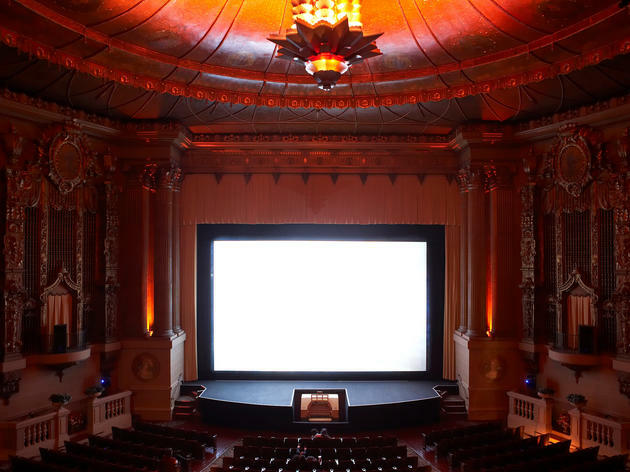 This historic theater in the heart of the Castro reserves various Saturday and Sunday showings each month for modern kid classics, from Moana to Mulan. 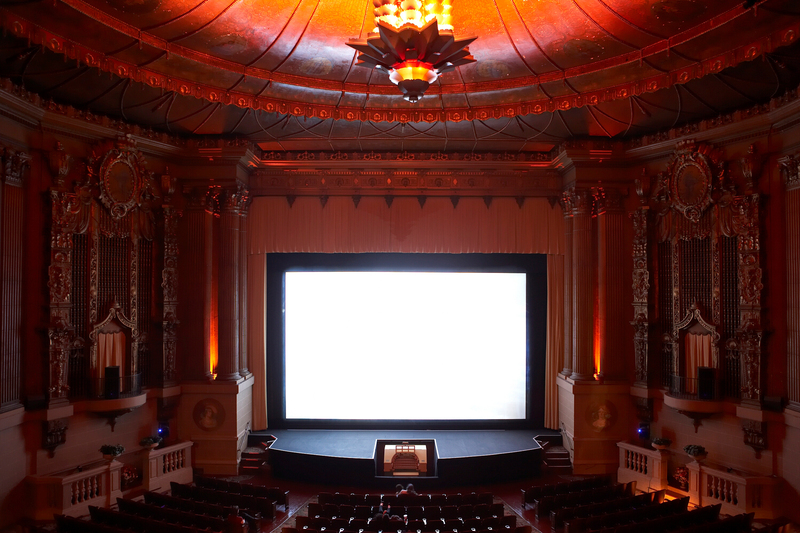 The family matinees make for good, unfussy fun. The excitement dials up to 11 on weekends that movie musical sing-alongs are on the schedule. Hosted by Sara Moore and Laurie Bushman, the productions start with a costume contest, in which kids of all ages strut across the stage. (Goody bags for all!) Then the lights dim and the movie rolls, complete with on-screen lyrics and a bouncing icon for young readers to follow along. Imagination and creativity rules at the Children's Creativity Museum. Rather than a rowdy playspace, this high-tech museum is thoughtfully designed to encourage invention. In the Animation Lab, kids knead clay into characters and create their own stop-motion movies. In the Tech Lab, future Googlers learn how to write code by programming robots to play music and solve puzzles. In the Music Studio, kids can star in their own music videos—complete with costumes and green screen technology. Outside, take a spin on the ornate LeRoy King Carousel, a storied relic originally constructed in 1906 which has been twirling in this Yerba Buena location since 1998. 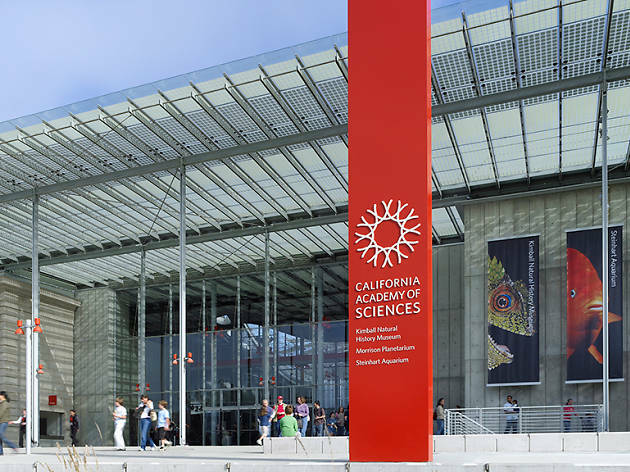 Considered the world’s “greenest” museum, the Academy combines an aquarium, planetarium, natural history museum and scientific research program under one roof. 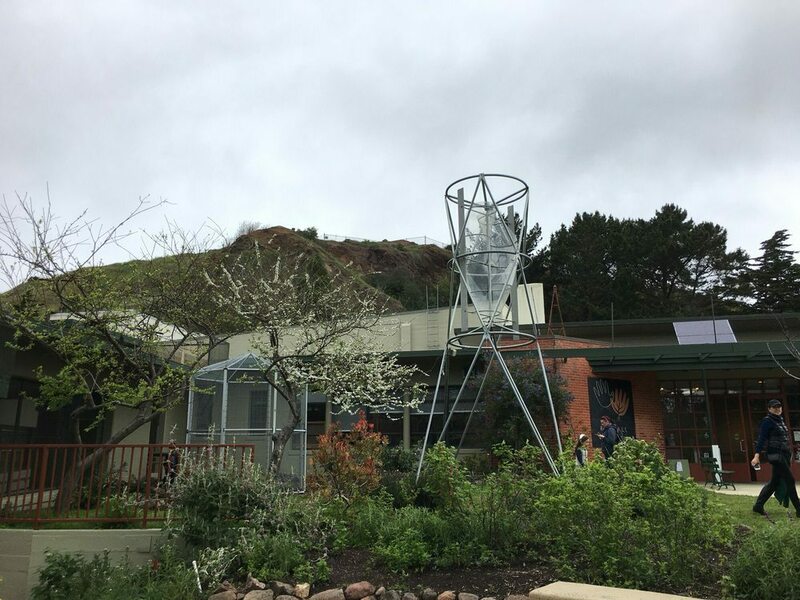 The complex is anchored by a four-story rainforest dome that’s home to flitting butterflies and birds, and a “living roof” that features some 1.7 million native plant species. In between is the Steinhart Aquarium (which boasts the world’s deepest living coral reef display), an Amazonian “flooded forest," the all-digital Morrison Planetarium, a live penguin habitat, an African Hall with lifesize dioramas of lions and gazelles, and the swampy home of Claude the albino alligator. 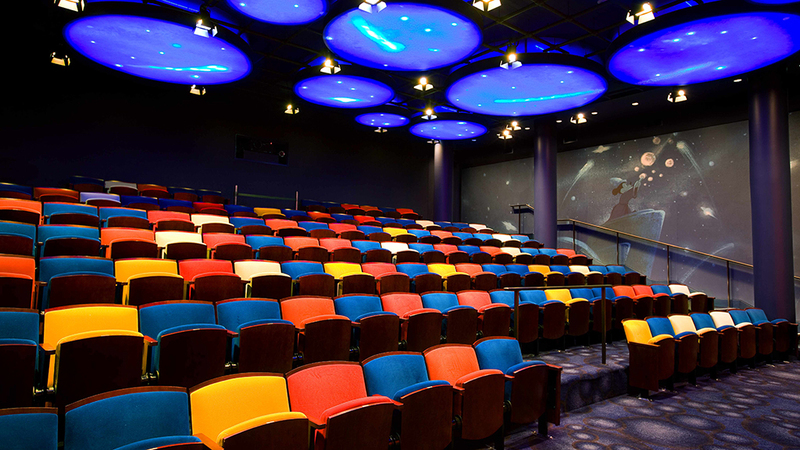 The Walt Disney Family Museum is dedicated to the life of Walt Disney and the beloved artistic empire he inspired. 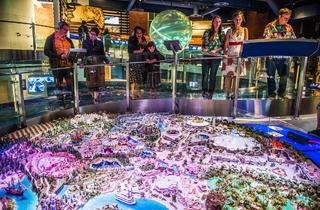 Inside, permanent exhibits document Disney’s innovations in sound and animation and provide a fascinating look at the career of the man behind the mouse, including the audio-enhanced tale of how Snow White and the Seven Dwarfs was almost abandoned. Regularly rotating exhibits feature the work of revered animators and artistic collaborations, some of which, like Disney’s project with Spanish surrealist Salvador Dali, were never completed. 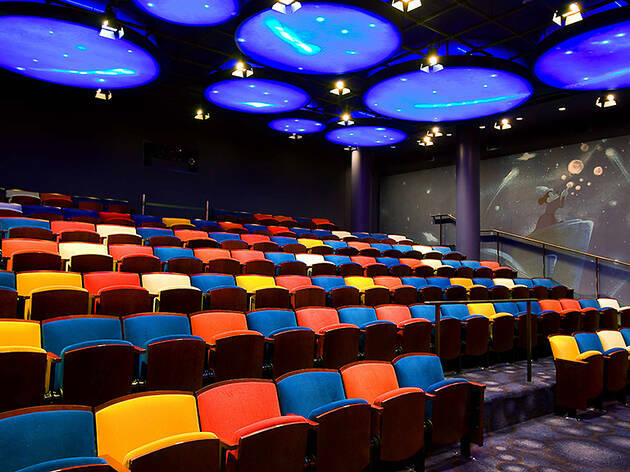 Stop by the Fantasia-themed theater to catch a Disney classic six days a week. 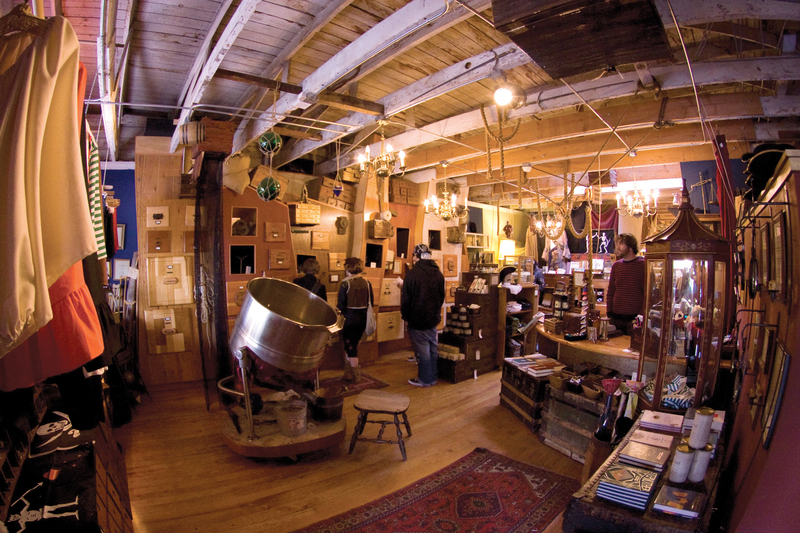 The Pirate Supply Store and King Carl’s Emporium are the dual retail fronts of the nonprofit youth writing centers, 826 Valencia. Both offer loads of kitschy, tongue-in-cheek fun for kids and their parents. 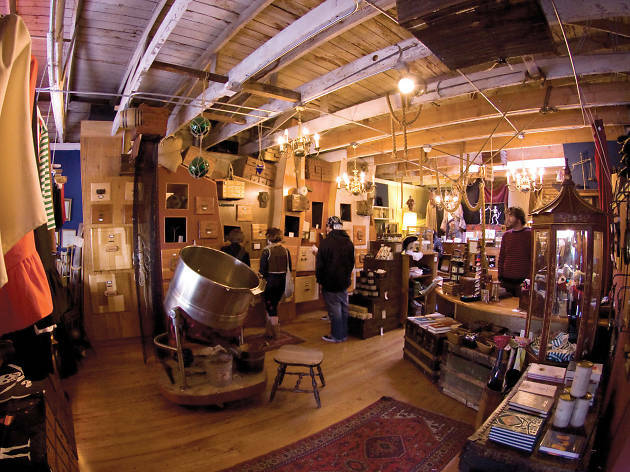 At the Pirate Supply Store in the Mission, there are treasures hidden behind every door and inside every drawer. A wealth of ironic pirate gear and paraphernalia, including skull and crossbones die, peg leg sizing charts (plus, peg leg oil, for conditioning said prosthetic), eye patches, hooks, jailer keys, gold coins, and more will have both you and your singing sea shanties in no time. 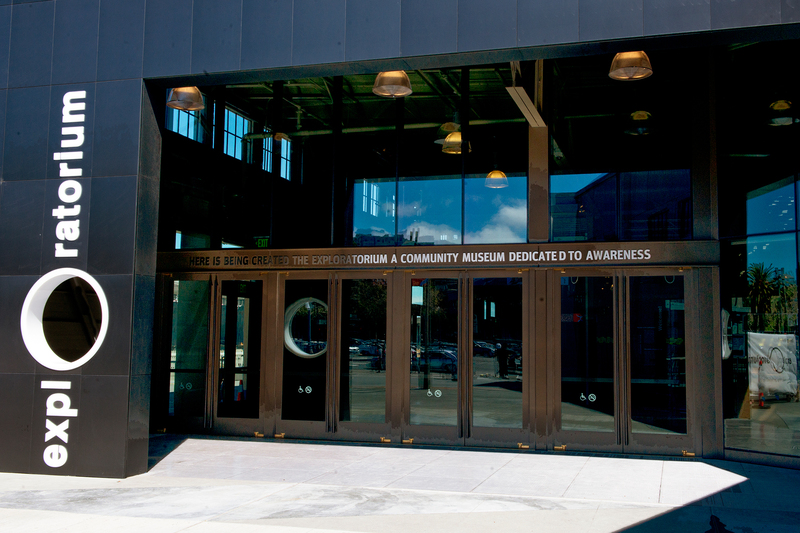 Once a month, this veritable temple of jazz hosts an 11am matinee for budding jazz cats. The shows run half the length of a typical show and are heavy on audience participation. But unlike typically twee kiddie sing-alongs, these performers are serious musicians. Past shows have been headlined by the likes of the Marcus Shelby Orchestra, the famed bass player’s eponymous ensemble, soulful jazz singer Paula West, and blue crooner Pamela Rose and a cadre of fellow singers. Beyond the music, the performers use storytelling techniques and history to engage young audiences. Each one-hour show includes a live performance and Q&A segment. 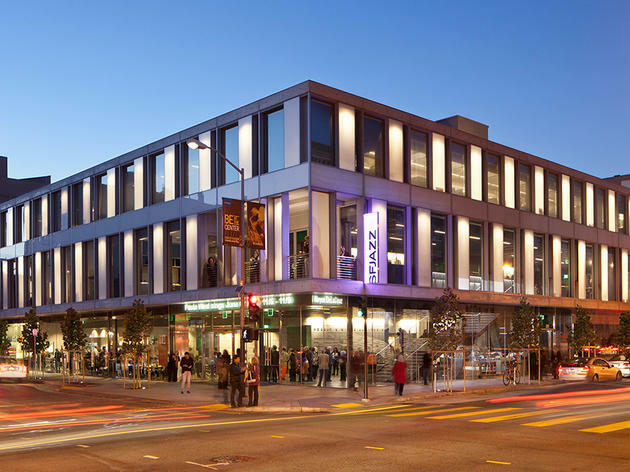 After a $9 million renovation in 2018, the science and nature museum in Corona Heights has been revitalized. 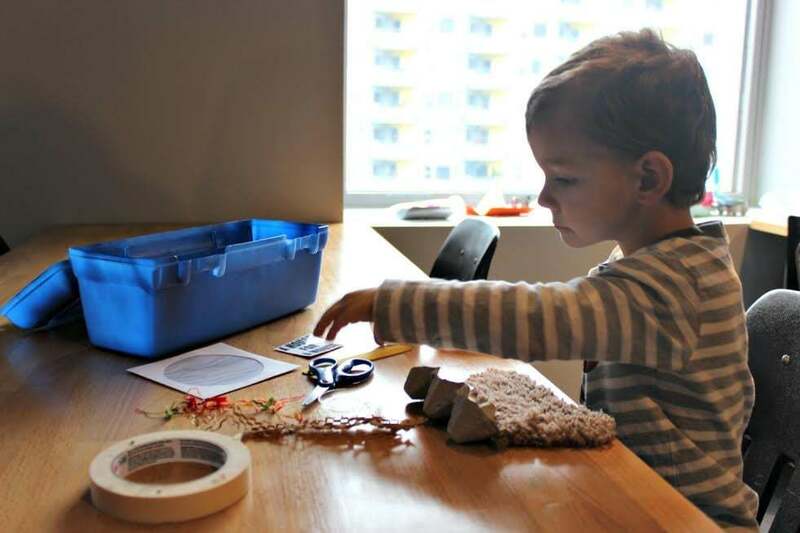 The new and improved space features a high-tech STEM lab, science and ceramics studios, and fully redesigned exhibit spaces that include a number of kid-friendly spaces like the toddler treehouse. Check out the new kinetic sculpture in the lobby—a graceful steel, aluminum, and wood mobile that mimics a bird in flight— as well as the sprawling electric model railroad (featuring replicas of real Bay Area trains), and a live animal exhibit that contains coyotes, foxes, reptiles, and sea creatures. 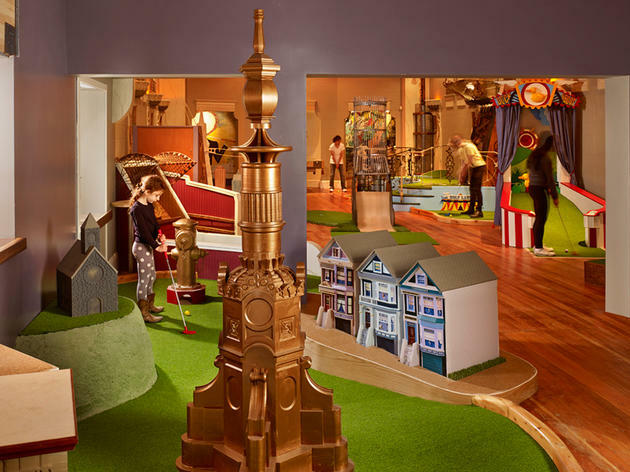 Owner Steve Fox describes his 14-hole putt-putt installed in a historic Victorian building as “part Jules Verne, part Rube Goldberg,” which makes sense, once you see it. Urban Putt is kooky, colorful, and animatronic, designed by an array of engineers, roboticists, welders, artists, and industrial designers. The course spans from SF-themed holes—the Painted Ladies, the TransAmerica Building, even a shaky “earthquake” obstacle—to an ethereal undersea section complete with a watery soundscape and gauzy aquatic life. Upstairs, there’s a casual cafe equipped with arcade games. 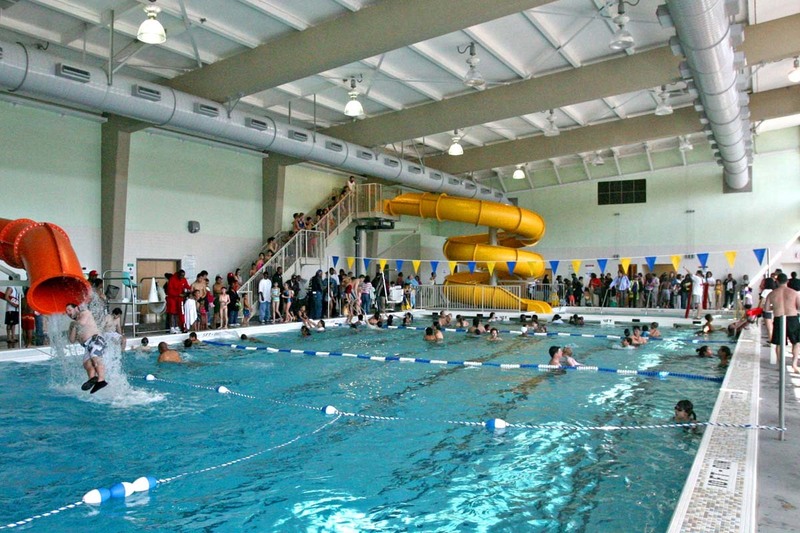 San Francisco has no shortage of pools, indoor and out. 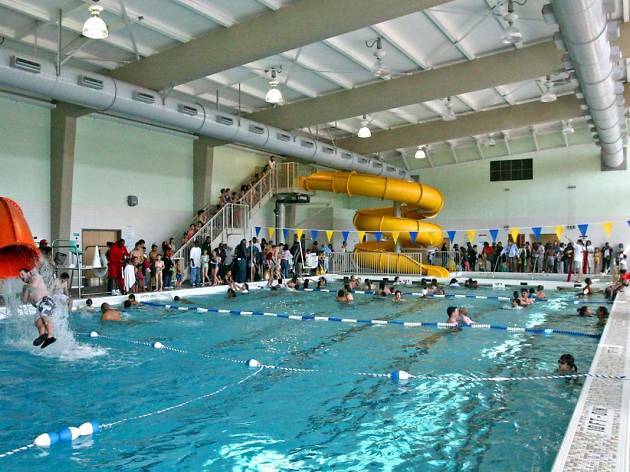 But Hamilton Rec is a kid favorite for one reason: it’s the only pool in the city with a water slide—two twisty, corkscrew chutes, in fact. The swimming area recently received a multi-million-dollar facelift and it shows in the clean, well-appointed facilities. The center includes a 75-foot-long heated pool for stronger swimmers, as well as a heated shallow pool for doggie paddlers and splashers. Swimming classes are available for tots and up. 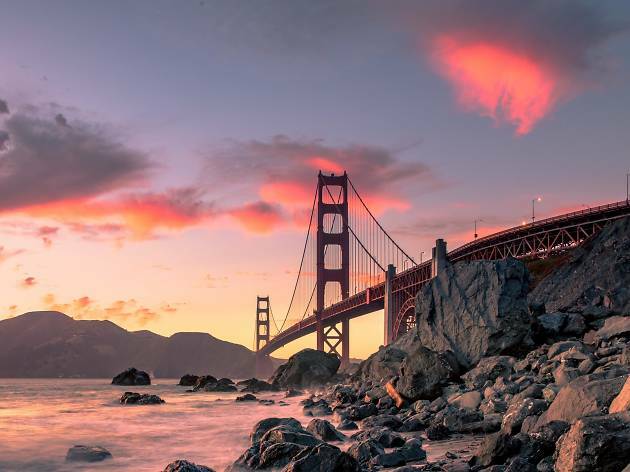 From the brightly colored ‘Painted Lady’ homes to the iconic orange towers of the Golden Gate Bridge, the city is one of America’s most instantly recognizable thanks to the plethora of San Francisco attractions.